Used in construction jobs, pillings. 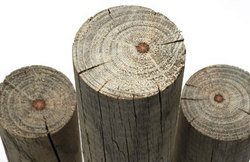 The timber division carries a wide variety of exotic timbers, plywood and the like. We cater to the leading contracting firms across the region. We offer timber wood which is known globally to resist varying weather conditions. The timber offered through us stays incredibly natural in diverse environments.